For travel or desktop use - this 16 oz. mug is an achievement in design! 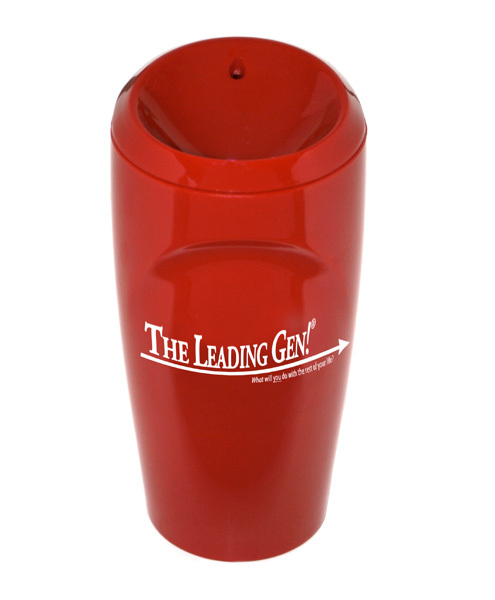 This 16 ounce tumbler can travel with you. It’s made of break resistant plastic, has a non-skid rubber base and is microwave and top rack dishwasher safe (not the lid though). It comes with a drink though lid and is available in red, white, blue, black or clear. Fits most beverage wells. Comfortable curves and styled lines blend naturally into your hand. Heavy-wall construction provides excellent insulation while the form-fit lid allows for ease in use. Break-resistant, thick-wall plastic is microwave and top-rack dishwasher safe. Fits most automobile beverage holders and has non-skid rubber base for desktop use. Click the button below to add the 16 oz. Tumbler to your wish list.